What is EFT Tapping? Using EFT for yourself or with a trained practitioner. An EFT tapping practitioner works with a client. EFT stands for Emotional Freedom Techniques. EFT is a practical self-help method that involves using the fingers to gently tap on the body's acupuncture points along the meridian lines of Chinese medicine. It is often referred to as ‘EFT Tapping’ or simply as ‘Tapping’. The therapeutic effects of this technique are recognized around the world. 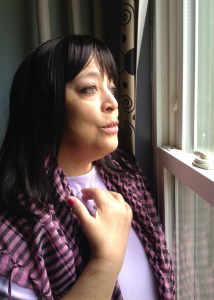 One can use EFT tapping for anxiety, weight loss issues, pain, stress and many other issues. EFT Tapping helps us tune in to the negative patterns that we form around our uncomfortable thoughts, feelings, or troubling memories. We ‘tap’ on the correct pressure points while bringing the thoughts or emotions into consciousness. The aim is to find relief, relaxation, and promote healing around the emotional or physical issues that hold us back. EFT therapy is a session between a trained EFT practitioner and a client or patient. 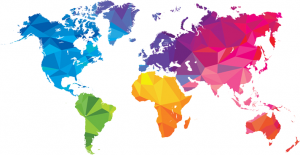 Some countries require special licenses to be officially called a ‘therapist’ so EFT International refers to our members as ‘EFT Practitioners’. The practitioner will use EFT techniques to work on general or specific issues such as anxiety, depression, stress, chronic pain, or weight loss. EFT sessions can be long or short and single or multiple depending on the needs of the client. All of the EFT Practitioners who are listed in the Practitioner Directory are certified by EFT International. We require our members to uphold positive ethics and a code of conduct. They also must complete an annual professional development process. If you are looking for an EFT Session or ‘Tapping Therapy’, please visit the practitioners directory. Each practitioner will describe their specific skills and certifications. A session can be arranged in-person. Many practitioners also offer remote sessions on the phone or online. Can I Practice EFT Techniques on Myself? It is easy to use EFT tapping for yourself. YES! It is easy to get started with our free manual. The manual is a great place to learn the beginning tapping techniques and tapping points. If you want to go further, our certified Trainers offer EFT training courses all over the world. You can visit the Training and Events page to find a training course or workshop near you. Practicing EFT for yourself is a simple and effective way to quickly work on an issue. Once you know the basic technique, you can spend a short amount of time tapping any time that it is convenient. Our website is a great resource. We have an archive of EFT articles written by our members. The Science and Research section has links to studies and research on how EFT works. 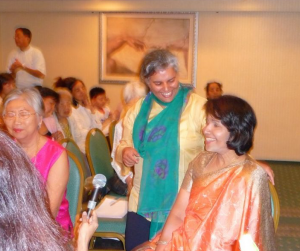 Taking a workshop, or getting a session from an EFT practitioner are also great ways to get direct experience. In the 1970s, Dr. George Goodheart, Dr. John Diamond and Dr. Roger Callahan each discovered that verbally focusing on a problem or issue (emotional or physical) – while manually stimulating acupuncture points – could bring surprising relief in their patients – particularly with regard to fears, phobias and physical responses to stress. Dr. Callahan was so moved by his discoveries in this area that he patented his emerging "tapping" program TFT or Thought Field Therapy. Eventually, his focus on "tapping" would completely transform his psychology practice, which was unheard of in therapeutic circles at that time. TFT, while effective and still widely practiced today, was involved and complex. It was primarily accessible only to therapists or those willing to make a substantial financial investment in learning the process. One of Callahan's students, Gary Craig, was able to synthesize it into a more simplified form – one involving fewer tapping points and far less complexity. A Stanford trained engineer and Master of NLP (Neurolinguistic Programming), Craig added key NLP concepts, and called it EFT or Emotional Freedom Techniques. EFT first appeared in the late 1990s via Craig's popular website (emofree.com) where he made it available to laypeople via low-cost videos. Since that time, it has proliferated steadily beyond traditionally therapeutic circles and taken-on added refinements – many of which were shepherded-in by Craig and his students through experimentation. Despite some rapid evolution in the early years, original or "classic" EFT has remained largely unchanged. 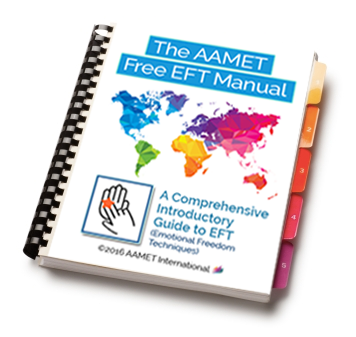 It is this version of EFT that comprises AAMET's model of EFT training.